I’ve tried this before a year ago and my understand of networks wasn’t so good. So I decided to try again. Today I will be making a basic network graph of the Marvel Universe. I originally tried to graph this network using D3.js but, the data set is so massive it was to much for the DOM to handle. Instead I used a python library called Networkx and it graphed the data without any trouble. 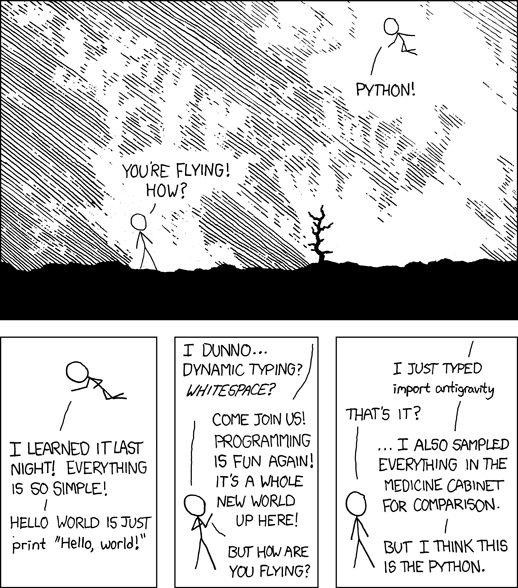 So,the take home message from this introduction is that python is awesome. These are the topics that are going to be discussed in each post. First I download the data from this website: http://exposedata.com/marvel/ . 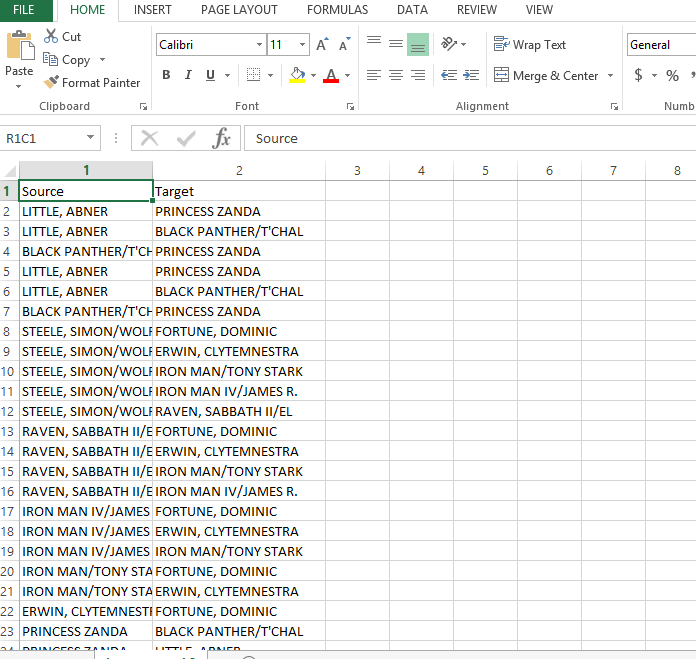 Click on the Hero Social Network Data (CSV) link in order to do this. When you open up the file you will see two columns Source (Person) and Target (The person this person interact with). Instead of using names id numbers for each super hero in order for python to make a network graph. Next I pre-process it with python. Things that will be useful to know List,List comprehension, dictionaries and the enumerate function. G.add_nodes_from(heroNodeId)#creates nodes for the graph. First import the libraries that you need. Next we read in the csv file by opening the file. Skip the headers of the csv file and read in the data row by row. Next we have to create ids for the superheroes. We have to create a list of superheroes without multiple occurrences. Then we create a dictionary for each superhero with their name as the key and their number being ther value. 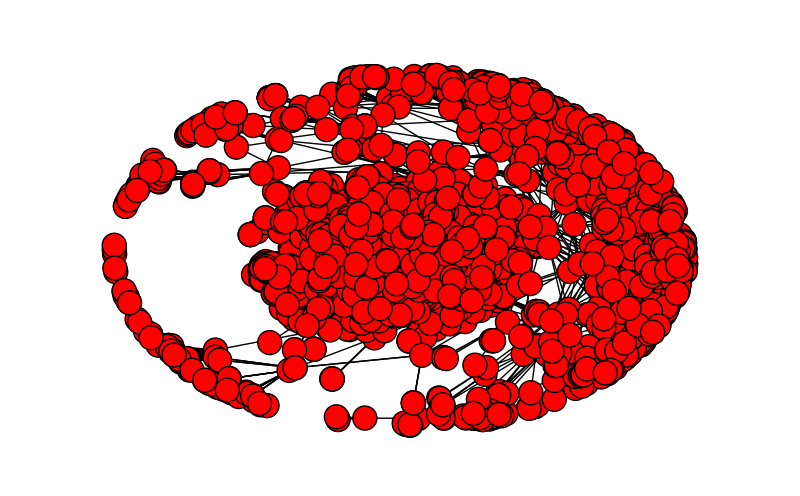 Next we can create a graph using Networkx. I take all of the superhero id numbers and create nodes out of them. Next it is the links. Since NetworkX needs links to be in tuples I loop through the dictionary and use the items() method which creates a tuple which returns a copy of the dictionary’s list of (key, value) pairs in tuples. And here you go a simple network graph. It is not pretty but it is a start. I also have code to put the nodes and the links into to a python format. Just click here to my github page.